Glittering, sugar white sand draws vacationers from all over the world to the fine beaches of Destin, Florida. This Emerald Coast city boasts a wealth of vacation rental options, ranging from Destin condo rentals to unique Destin beach house rentals, available for rent by owner, which can make a big difference in cost and convenience. An owner rented vacation home offers the sort of comfort and privacy that the hospitality industry just can’t match. Traveling to the Gulf of Mexico from the Appalachian Mountains via the Apalachicola River, then carried by Gulf currents and left to rest on coastal lands, this fine ground quartz crystal sand provides Destin with some of the whitest beaches on the planet. 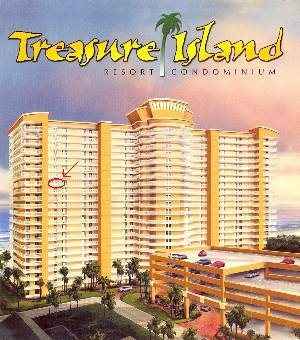 So, naturally, the remarkable white sand beaches are one of the Destin area’s major attractions. However, as lovely as these beaches are, they are far from the only thing that this Okaloosa County vacation destination has to offer. As is to be expected, there are plenty of outdoor adventures available, including chartered fishing boats, snorkeling, dinner cruises and dolphin viewing. You can rent bicycles and tour the lovely local scenery on your own or you can kayak or paddleboard in the Choctawhatchee Bay. There are seaside yoga classes for mind, body and soul balance and there is also the excitement of parasailing to experience. And, if you tire of outside adventuring, there are lots of inside things to enjoy, including museums and local performing arts. There's also air conditioned shopping in fabulous boutiques and a variety of eateries to experience. Louisiana and Creole style cuisine is the specialty at the Louisiana Lagniappe, a restaurant that has been serving the region since 1984. True bayou flavors and fine service have made this restaurant a favorite among vacationers and locals alike for seafood and steaks. Family-owned, clean, and affordable, the Jasmine Thai Restaurant is a must visit dining spot. For top-notch, authentic Italian, La Famiglia is the place to eat. Breakfast and brunch fans are sure to enjoy the locally famous eatery, Another Broken Egg. For those that have chosen the comfort and privacy of Destin beach house rentals for their vacation accommodations, the nationally recognized, award-winning Sarah K's Gourmet is a great dining option. Winner of the Best of the Emerald Coast Award each year since starting to serve the region, Sarah K's Gourmet easy to heat - just 20 minutes at 450 degrees - take home dishes allows you to enjoy fine dining in the calm, relaxing atmosphere of your Destin vacation rental, instead of having to deal with crowds and noise after a long day at the beach or exploring local sights. When it comes to finding the best Destin beach house rentals available for rent by owner for your vacation hopes and your travel budget, planning is the key. During the few months before your chosen travel date, take the time to browse Destin rentals regularly to check availability and book your Destin vacation homes for less. Destin is a memorable destination, and you deserve to enjoy it in a way sure to create the sort of vacation memories that will last a lifetime. Check out nearby Dune Allen Beach , Fort Walton Beach , Ft Walton Beach , Miramar Beach , Sandestin , Santa Rosa Beach , Seacrest Beach , Seagrove Beach , Seaside .